This stainless steel Grip E-Z Melon Baller is a great canning tool for your kitchen. The baller allows you to easily remove seeds from cucumbers and other fruits (such as watermelon, cantaloupe, and honeydew) without having making a mess. It can also be used to make melon balls or as a melon scoop. 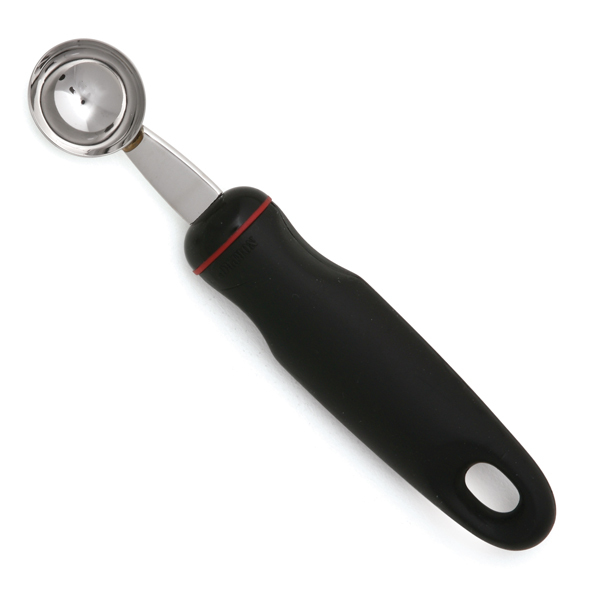 The Grip E-Z Melon Baller features an oversized handle with finger indents which allow for strain free usage. Measure 1.25"/3cm ball size. Dishwasher safe.